Over the last few years, caring people in Southwest Florida have infused more than $8 million into our community through the Giving Challenge, an exciting day of online giving. On September 1st and 2nd, our area will experience another unprecedented opportunity to support local nonprofit causes. This year, The Greater Sarasota Chamber of Commerce Foundation will be participating in the Giving Challenge to generate support for our new upcoming Leadership Sarasota program, the Young Entrepreneurs Academy (YEA!). The Young Entrepreneurs Academy, (YEA! ), is an innovative program that transforms local middle and high school students into real entrepreneurial successes. YEA! guides high school students through the process of starting and running a legitimate business over the course of a full academic year. YEA! aims to teach students at an early age how to make a job, not just take a job. It is our mission that through the YEA! program we can empower our community youth to follow their passions. For many youth, this can be a challenge. High school students don’t always have the tools and resources to bring their ideas into fruition. But, with YEA! these students will have the chance to follow their dreams. Leadership Sarasota, a program of The Greater Sarasota Chamber, will be introducing the program this fall and needs YOUR support for it to thrive! Because this is our first year participating in the Giving Challenge, donations between $25 and $250 will be matched by The Patterson Foundation. 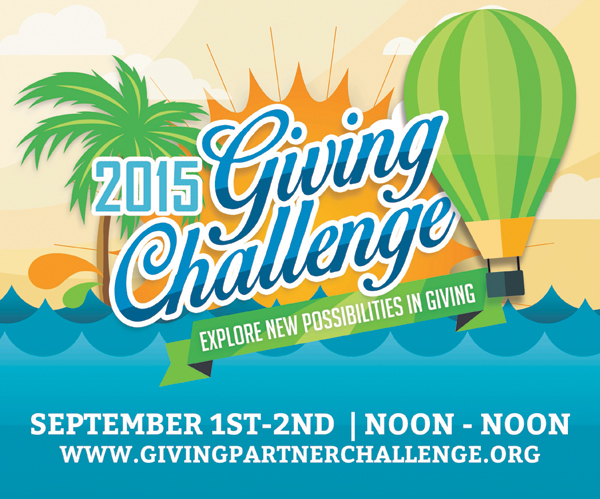 In order to donate, log-on to www.givingpartnerchallenge.org between noon on Tuesday, September 1 to noon on Wednesday, September 2 and search for your nonprofit of choice, in this case The Greater Sarasota Chamber of Commerce Foundation. All donations to The Greater Sarasota Chamber of Commerce Foundation during the challenge will support the YEA! program.